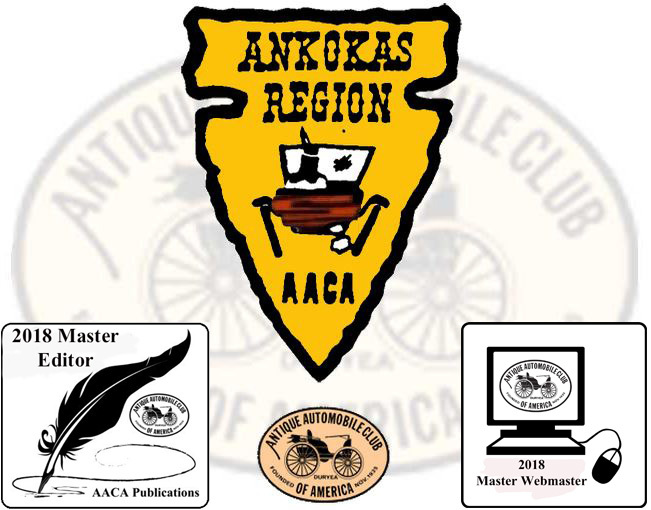 We are the Ankokas Region of the Antique Automoblie Club of America. Thanks for driving by. 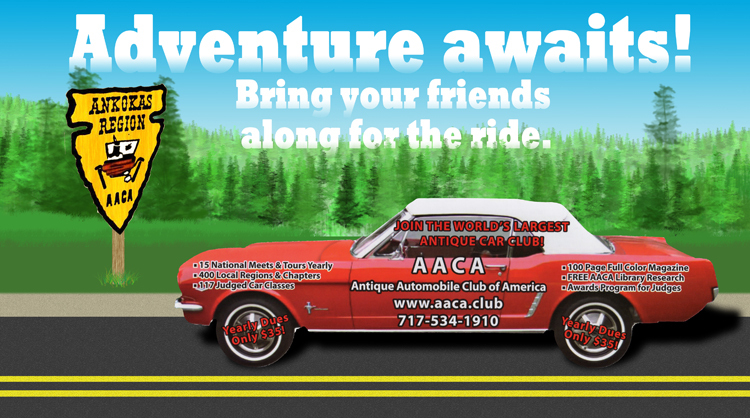 We are a local region of the AACA, based near Haddonfield NJ, and celebrating our 54th anniversary as a region, having started in 1964. Please have a look around our website and read our upcoming Calendar, see pictures of Past Ankokas Events, and read all About Us. Ready for fun, good company, and sharing a passion for cars? Join our region. It's easy and can be done on this web site. We are always ready to welcome new members. Find out how to join by visiting the Join Ankokas page on this web site. Our regular monthly meeting will be on Thursday May 9, 2019 at 7:30 PM in the Haddonfield Borough Hall, 242 Kings Highway East, Haddonfield NJ, on the second floor. We will have an important discussion about recruiting new members and upcoming local events. Good times with friends and Diana's cookies will make this meeting one to attend. Come for the cars, stay for the people. Check the Calendar for other important events. 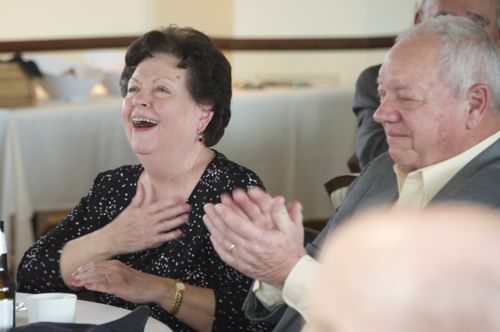 At the 55th Annual Ankokas Charter Luncheon on March 24, 2019, a very surprised Kathy Petters received the Frank Hankins memorial award for her support of Ankokas, her work as the first female President of the region for the past two years, and so much more. You can read more about the luncheon on our News page, and see pictures on our Past Ankokas Events page. AACA Library and Research Center, 'America's Automotive Library'.